Even before I got my first post-college job in Butler and moved here from Ohio, I knew who Rick Sebak was. On a couple of visits to Mrs. Crappy and her mom — long before she was Mrs. Crappy — we caught a couple of Sebak’s shows on rainy afternoons at her mom’s house in Kittanning. I know the Kennywood show was the first one I saw; that was followed by the national diner show and one or two of the “Things that aren’t there anymore” documentaries. I was taken immediately by the warm nature of Sebak’s narration and the breezy pace of the films. They are captivating, and I couldn’t get enough. I’ve watched many more of Sebak’s Pittsburgh history and neighborhood shows over the years, and it’s not a stretch to say I learned much of what I know about my hometown from those documentaries. And, even better, I learned from Rick last fall that I belong here. It’s not unusual that I recognize people from his shows, but they’re generally the people who are the subjects of his interviews. As I watched the premiere of 25 Things I Like About Pittsburgh in November, I noticed that I wasn’t seeing business owners who looked familiar; I was instead seeing friends. In the footage from the Steel City Big Pour, the footage from the Toonseum and even in shots from the porch party, there were familiar faces. 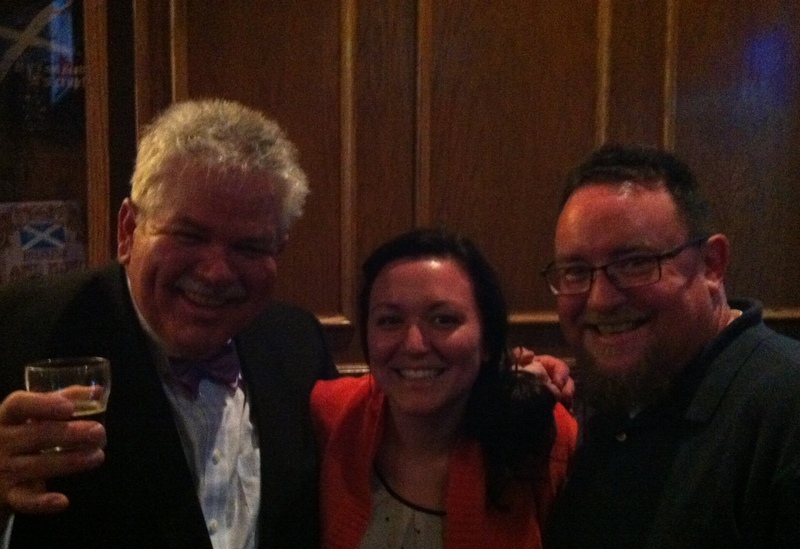 Rick Sebak helped me learn the past and present of my home. And, after I’d been here for 22 years, he helped me realize that Pittsburgh was my home. I was one of a couple people assigned by our editor to take Megan Miller to lunch and make sure we convinced her to take a job at the paper. As we talked over sandwiches at Brady’s Run Grill, Jenny and I learned one thing about Megan — she called herself a history nerd. She lived up to that self-imposed title as well; in her not-quite-a-year at the paper, she came up with some really cool weekend features about the county’s past. There is another manifestation of Megan’s fascination with history, one that she wears on her back. Megan has an awesome tattoo, copy of a highway sign that marks the Lincoln Highway, name for one of her favorite figures from the past. As I said before, we didn’t get to spend much time with Megan — she moved to New Zealand, where she still lives and works today. Just a few days before she left, she got to meet Rick in person — she had talked with him on the phone after he completed A Ride Along the Lincoln Highway — when he visited the new Bocktown in the Beaver Valley Mall. And the resulting picture was priceless. My friend Derrick and a few others had tried for a couple weeks to convince Rick to visit Piper’s Pub on one of our, uh, traditional Thursday nights there. Rick said he would try a week ago, but wasn’t able to make it; this week, though, the outlook was better, and sometime just before 9 p.m., Rick Sebak walked through the door. Jenny arrived a short time later, but walked past him while he talked to others in the front of the bar. I finished my dinner, and we concocted a plan: we’d find Megan’s picture from Bocktown and introduce ourselves as her former colleagues. 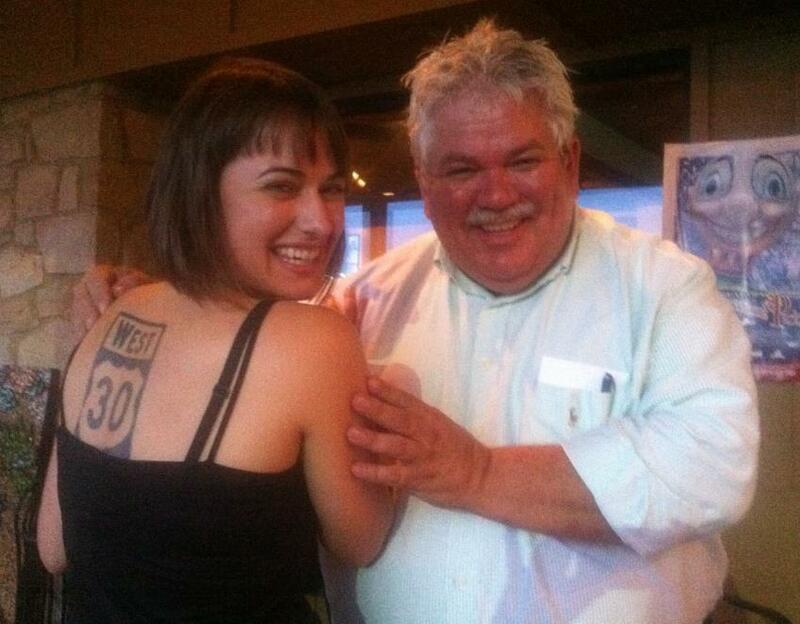 Rick remembered the picture instantly; in fact, he said he still has people ask him about the Route 30 tattoo woman photo now, more than a year after it was taken. He also seemed pleased to hear that he had been with me during every step of my Pittsburgh indoctrination. He is a genuine guy, a nice guy, and completely open to strangers new friends handing him glasses of beer from out of nowhere. He also took an honest interest in our jobs, even offering a tidbit of historical trivia about Beaver — I’m sorry, but I can’t tell you now — once he learned where Jenny and I work. Tonight’s convergence would have been made perfect only by the presence of Megan, who is still half a world away. But it was great to find that Rick was who I thought he would be; if you’ve seen any of his shows, I think you have a pretty good sense of who that is, because the guy on TV seems to be the same as the one who visited Piper’s tonight. There is one additional thing to mention. Much of Sebak’s shows feature things — neighborhoods, buildings, food, roller coasters — but the at the bottom of everything he shoots are people. And while I love the stuff of Pittsburgh, the people are what make Pittsburgh what it is. And my Pittsburgh friends — the ones I work with, the ones I noticed in Rick’s latest documentary, the ones I see at Piper’s every Thursday and all the others — are what make Pittsburgh home. I feel like all other Thursdays will be a letdown after this Thursday, yinz are all awesome. Wow, I can’t believe I never thought of a highway sign tattoo. Great post. good post. it was refreshing to meet him and see that he really is the same guy in real life that he is on tv. Previous PostPrevious one more week. Next PostNext my agent deserves a raise.